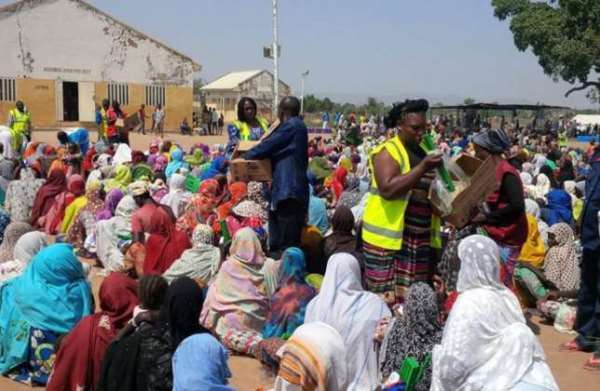 10m people need aid in Nigeria, other countries – Royal Times of Nigeria. No fewer than 10 million people require aid in Nigeria, Cameroon, Chad and Niger because of insecurity caused by Boko Haram insurgents. Ms Ursula Mueller, UN Assistant Secretary-General for Humanitarian Affairs and Deputy Emergency Relief Coordinator, stated at the end of her visit to Chad. Seeking urgent support for the countries, Mueller said the humanitarian emergency across the Lake Chad basin was among the most severe in the world. “Persistent insecurity and Boko Haram operations mean that more than 10 million people in four countries – Cameroon, Chad, Niger and Nigeria – will need aid assistance this year just to survive”. She called for urgent funding to support 4.4 million people in Chad, including refugees, returnees and internally displaced persons, as well as the communities hosting them. Mueller underscored the need for durable solutions to the crisis in the Lac region, as noted by the UN Office for the Coordination of Humanitarian Affairs (OCHA). OCHA said the closure of Chad’s border with Nigeria from the beginning of the crisis in the Lac region in 2015, together with the continued implementation of emergency measures, have also had an impact on local populations who already face poor regional development. “The activities of the extremist group Boko Haram, as well as violence in Sudan and the Central African Republic, have affected 500,000 people there, including 137,000 people the UN has deemed particularly vulnerable. “During my visit to displacement sites, I saw the difficult living conditions and lack of means displaced communities face. Mueller was on a 10-day Chad, mission to the Central African Republic (CAR) and Cameroon, where she saw see first-hand the devastating humanitarian consequences of ongoing violence. The UN official said she was moved by the solidarity of host communities who are sharing the little they have with those forced to run for their lives. “It is essential to strengthen the livelihoods of these communities who are the first lifeline for those fleeing violence and insecurity,” she stated. According to her, the crisis is taking place against a wider backdrop of recurrent food shortages and entrenched poverty across Chad, where nearly four million people require emergency food assistance and more than 200,000 children under five are at risk of dying from severe acute malnutrition. However, funding for humanitarian operations there has not kept pace with increased needs, she regretted. Mueller urged countries to step up their support to Chad, which requires 544 million dollars in humanitarian funding in 2018, which so far, was less than four per cent funded.